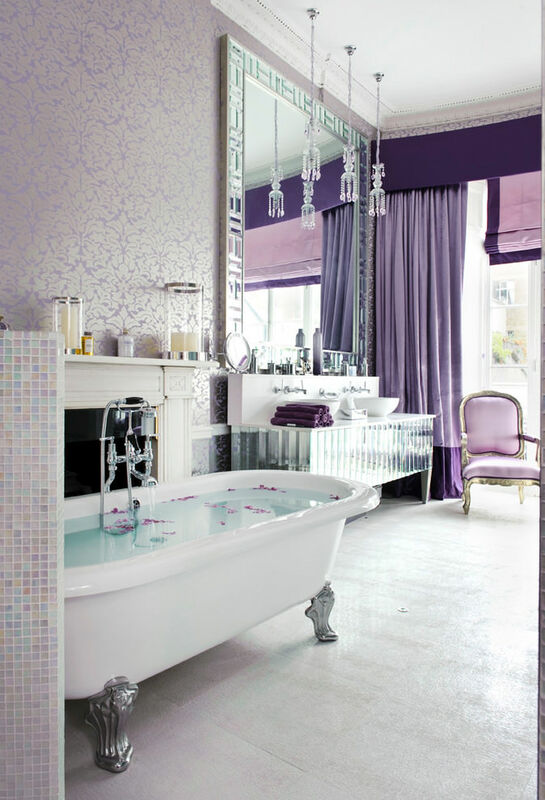 Purple is a colour with which a feeling of royalty is associated. 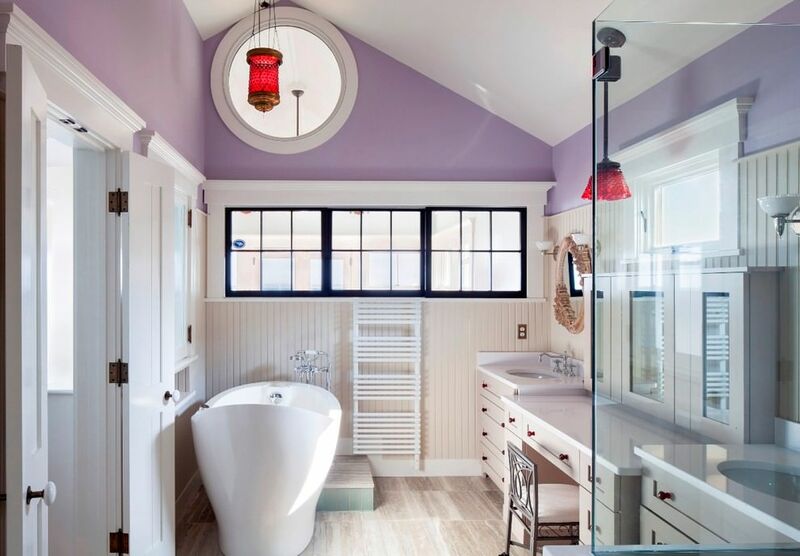 There are many ways to adorn your bathing space with splashes of this classic colour. 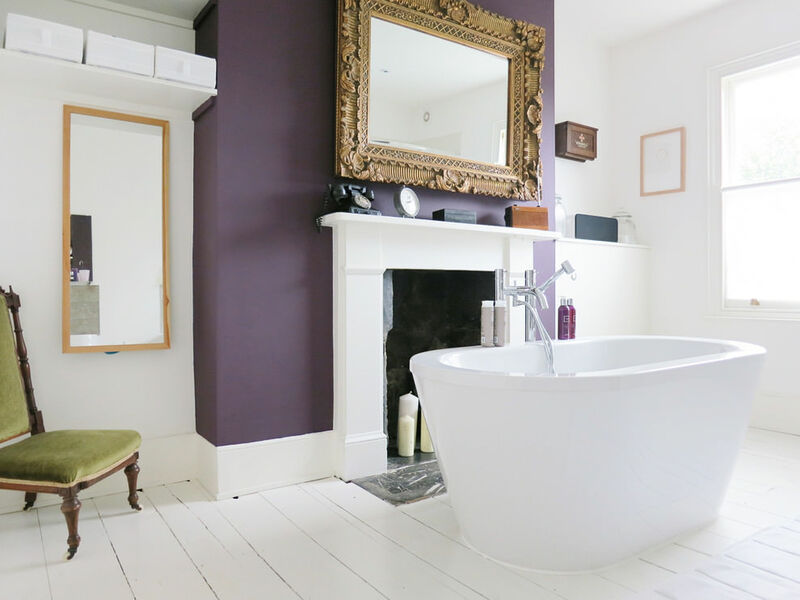 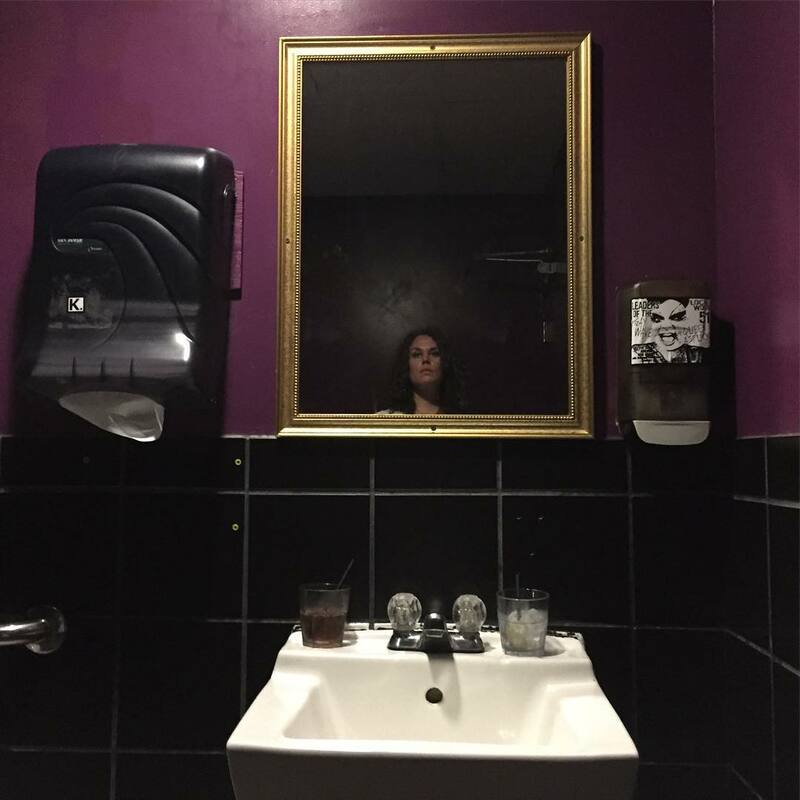 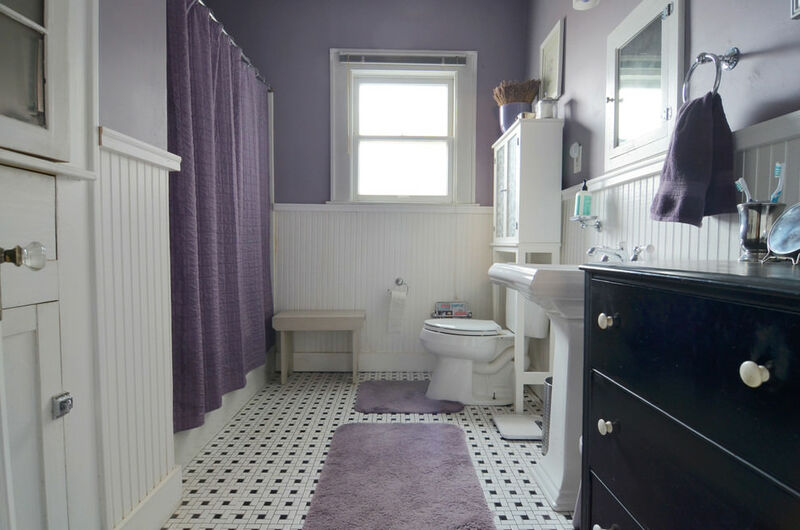 If you are living in an old house, you can renovate your bathroom just by adding purple shower curtains, floor mats, and soap dishes with purple as the theme colour. 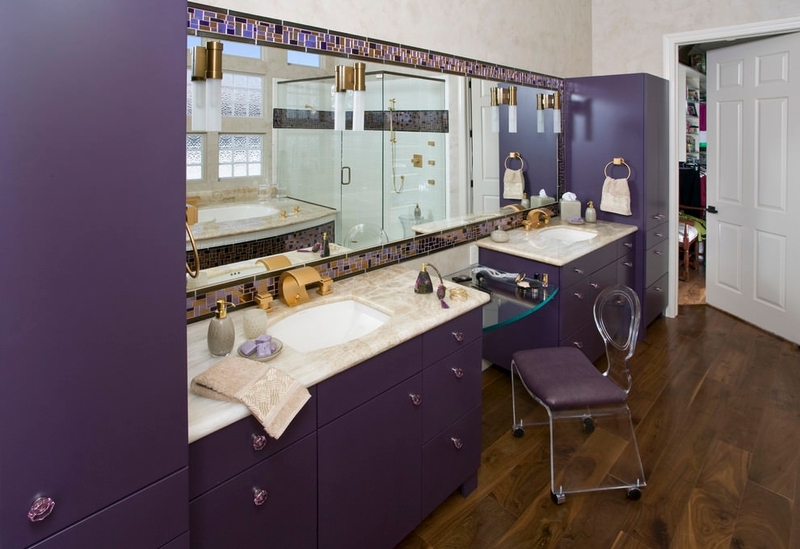 You can amp up the classic look of your bathroom simply by putting few photos with purple shades. 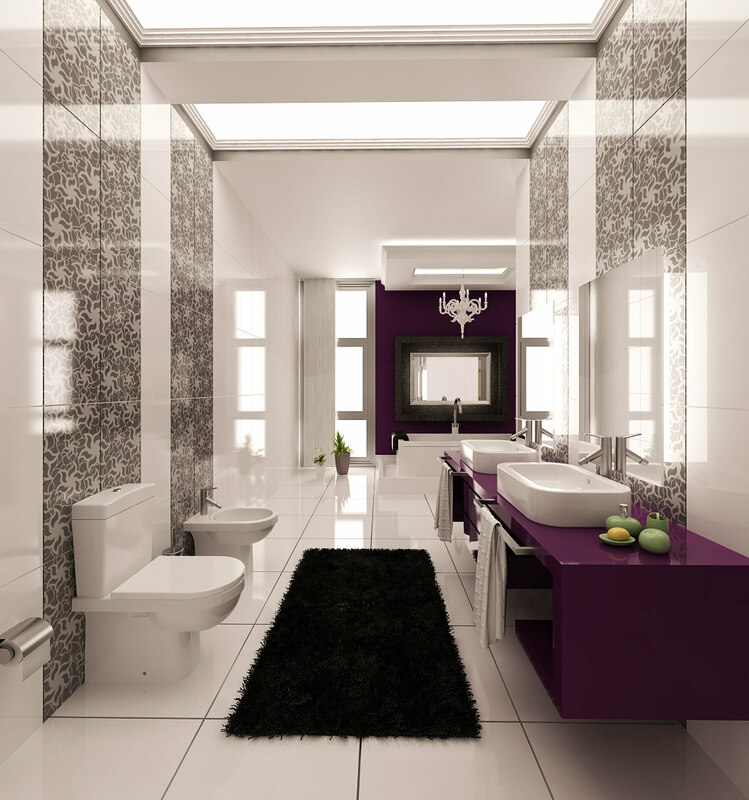 Purple is the colour which makes your living space a royal retreat. 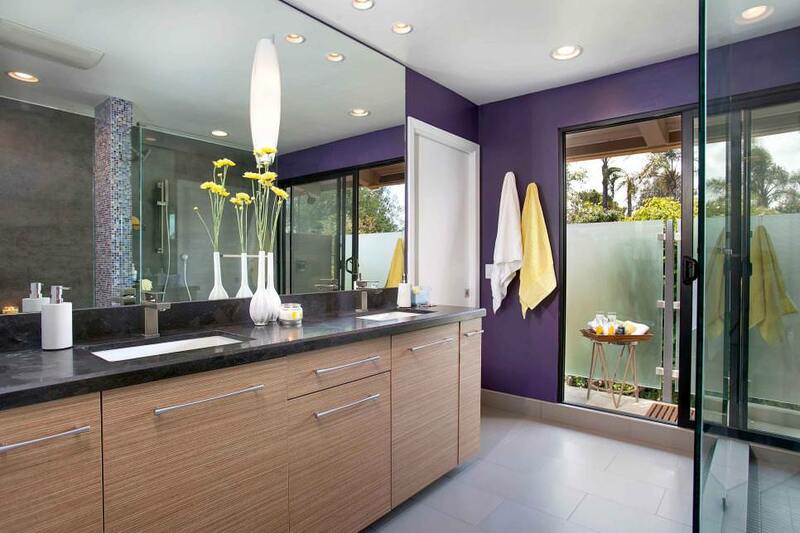 Among the trendiest purple shades from which you can choose your palette are – royal lilac, soothing lavender, funky amethyst and deep eggplant. 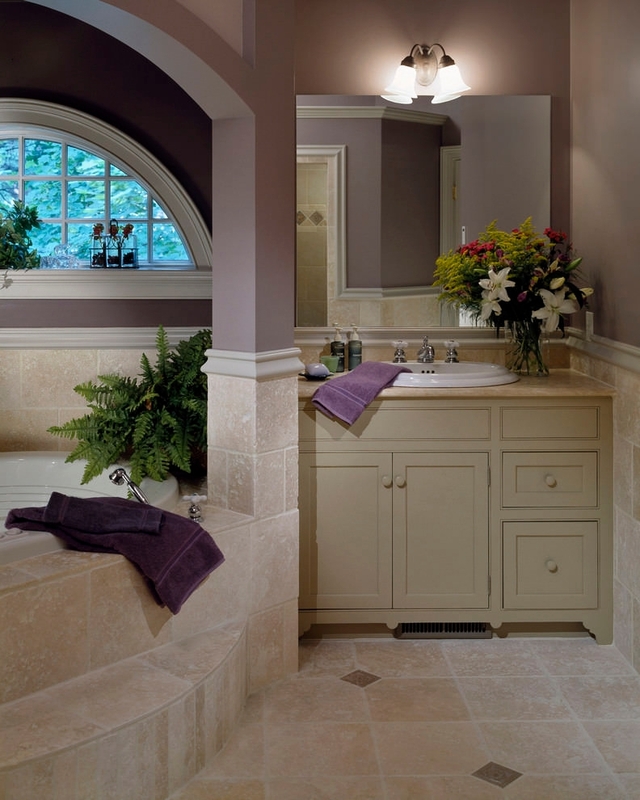 A blend of two or three shades on the various corners of your bathroom will make it look unique and elegant. 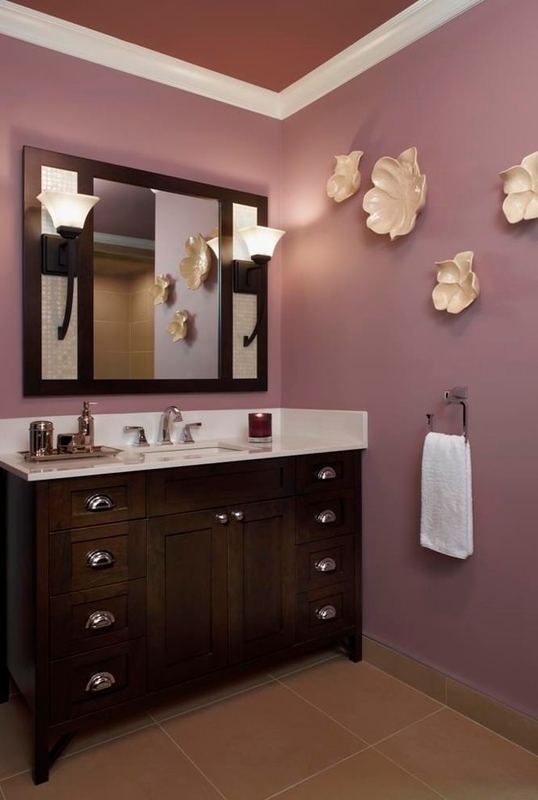 Fixtures are now available in various colours from which you can choose those match well with the background. 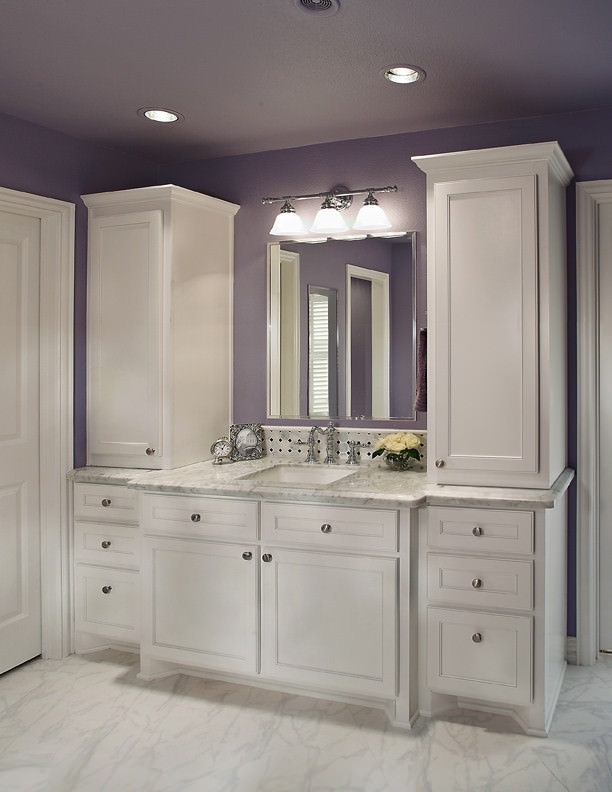 Royal lilac is the commonest shade of purple chosen in most households. 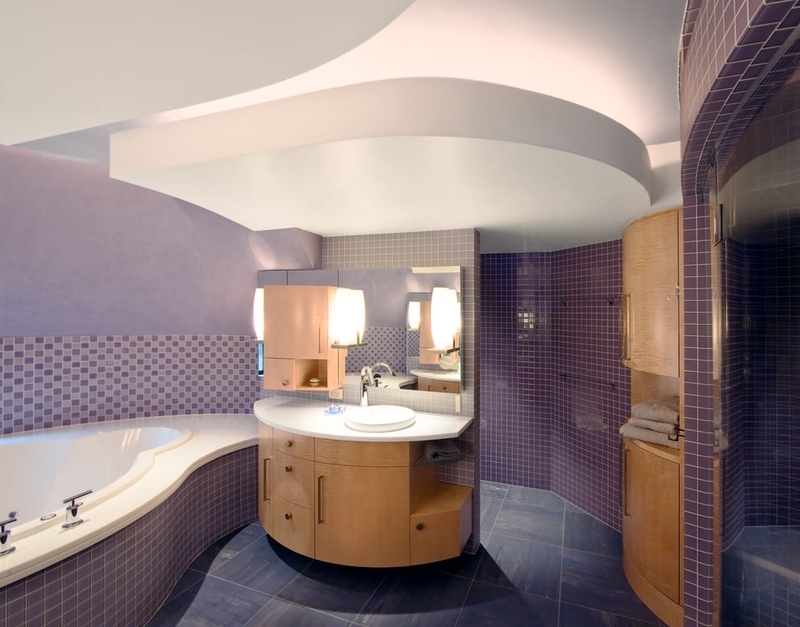 It gives you the fresh feeling of lavender and soothes your eyes. 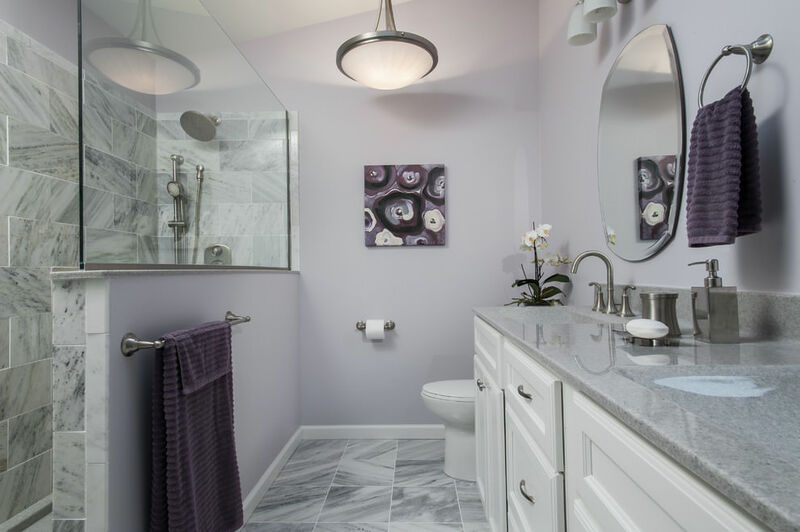 Using silver fixtures in your purple bathroom will make the entire area look majestic and attractive. 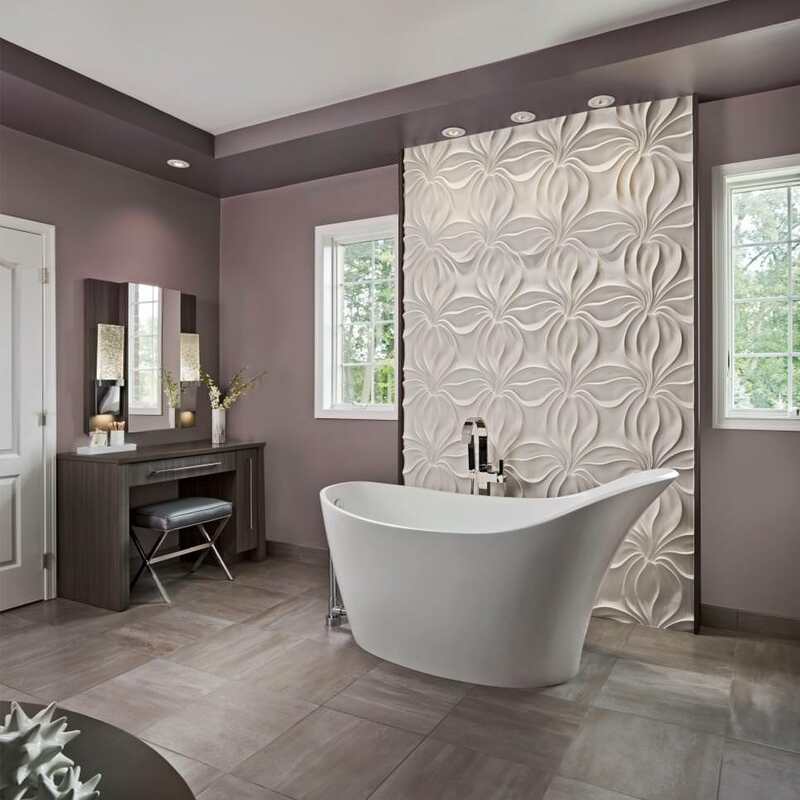 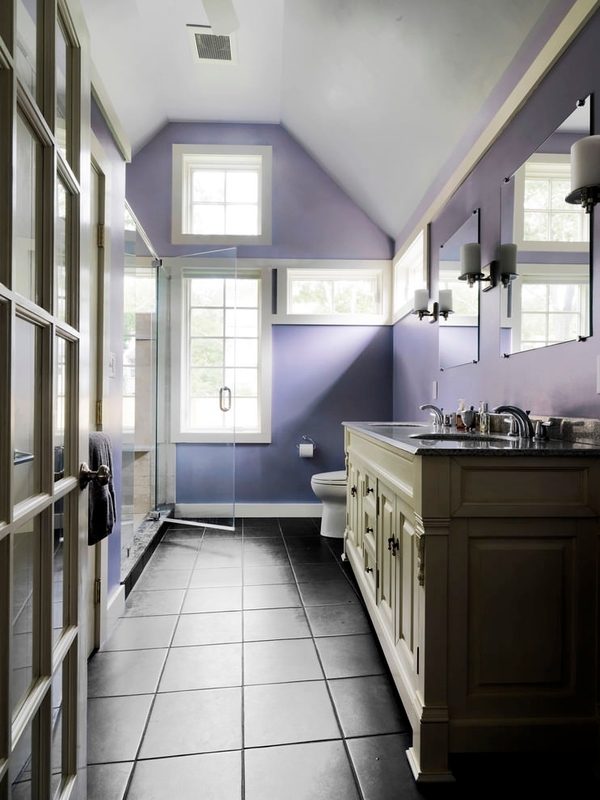 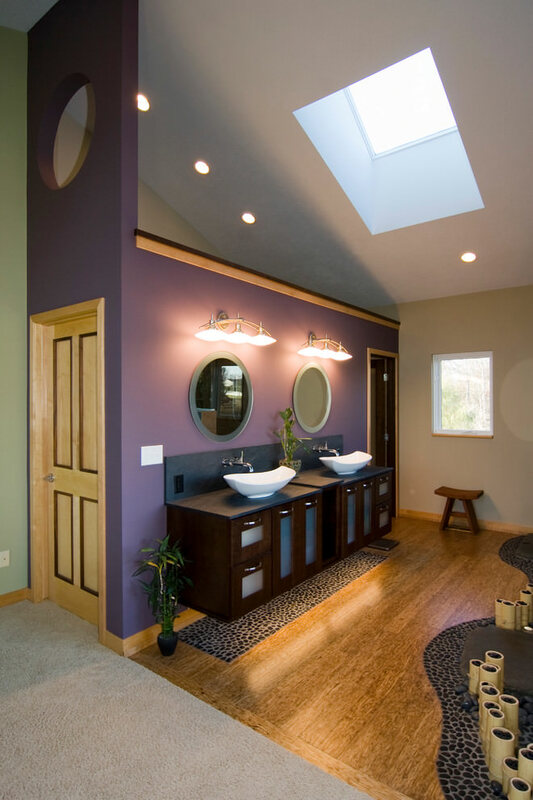 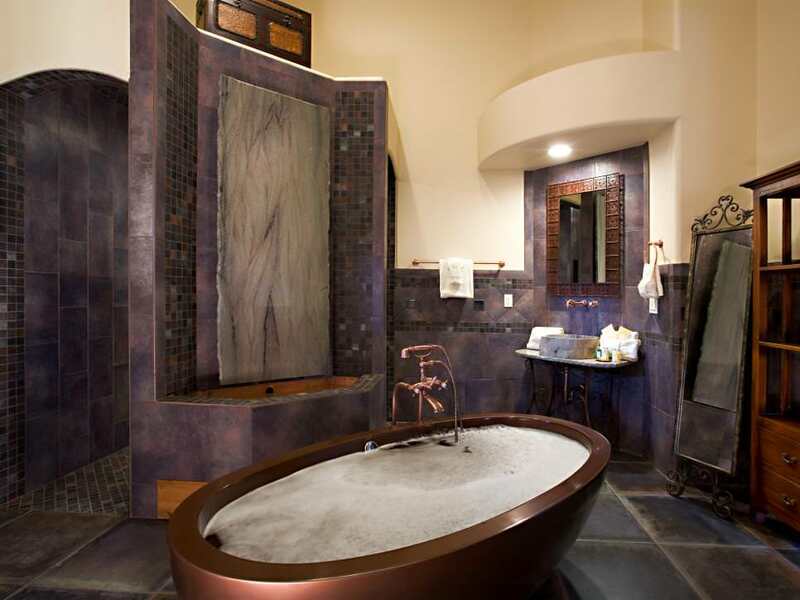 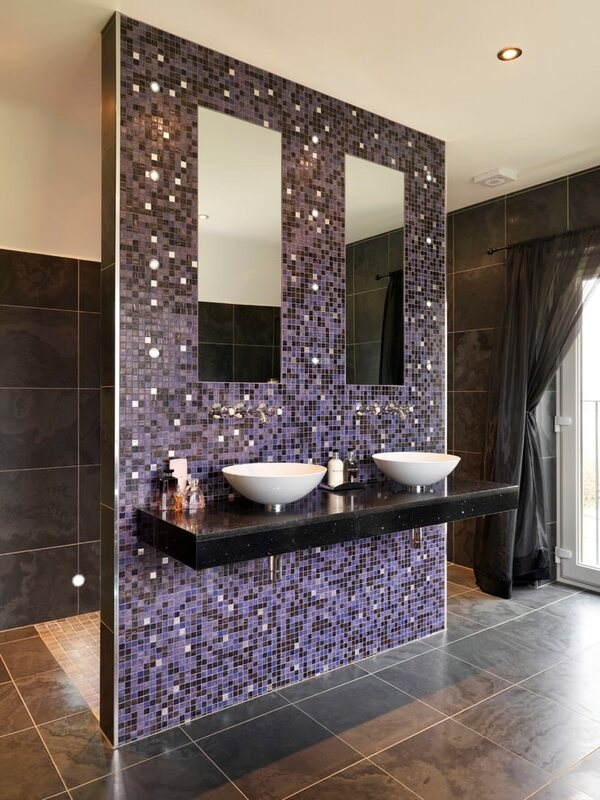 In a master bath, you can use purple tiles of lighter and deeper shades for the wall and floor. 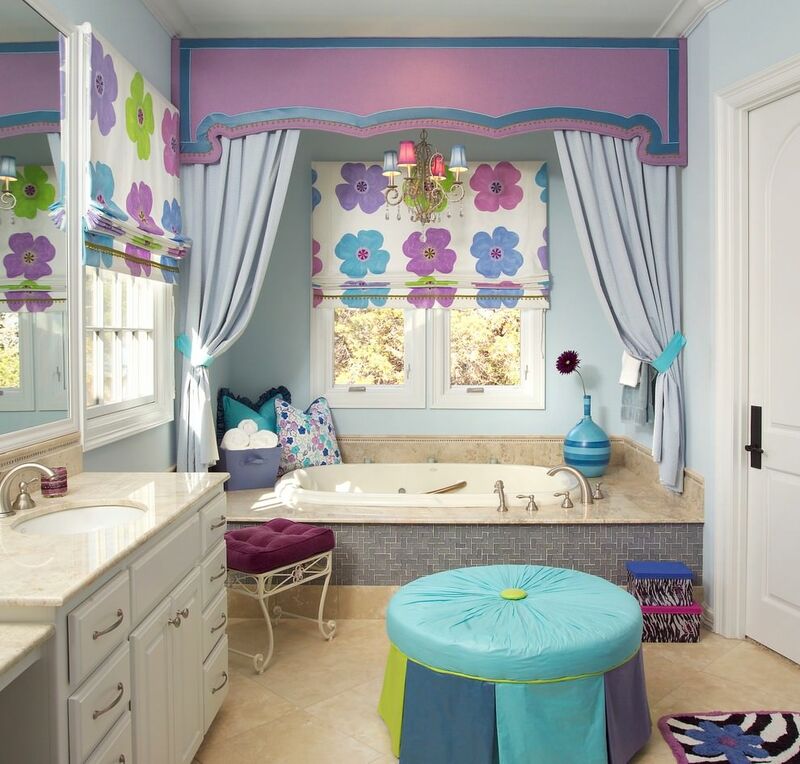 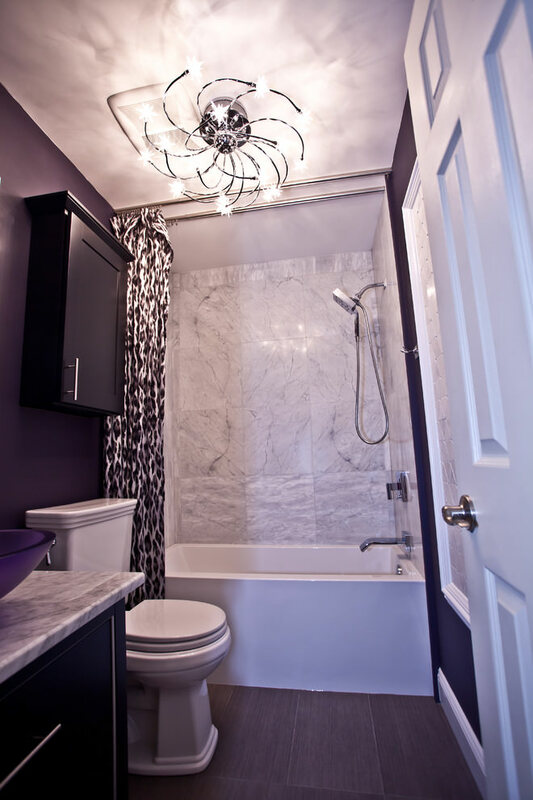 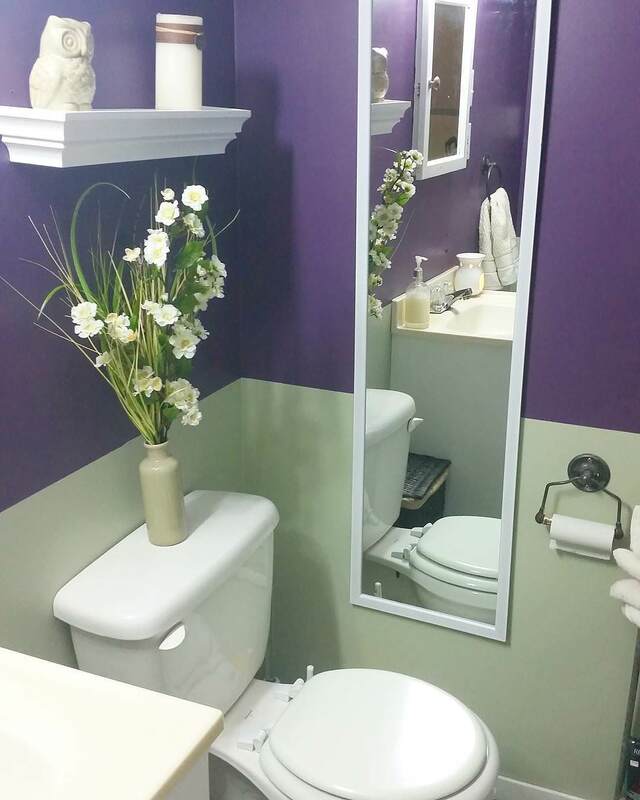 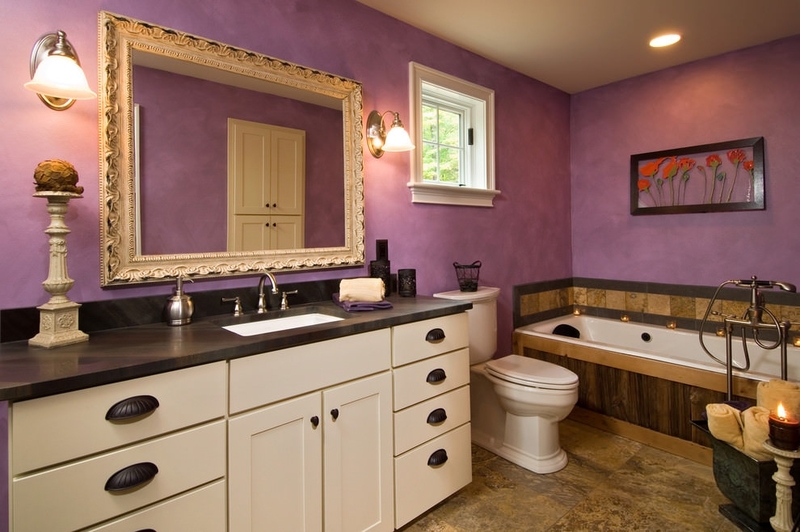 Purple stripped wallpapers and purple cabinets are some of the options for a purple bathroom design. 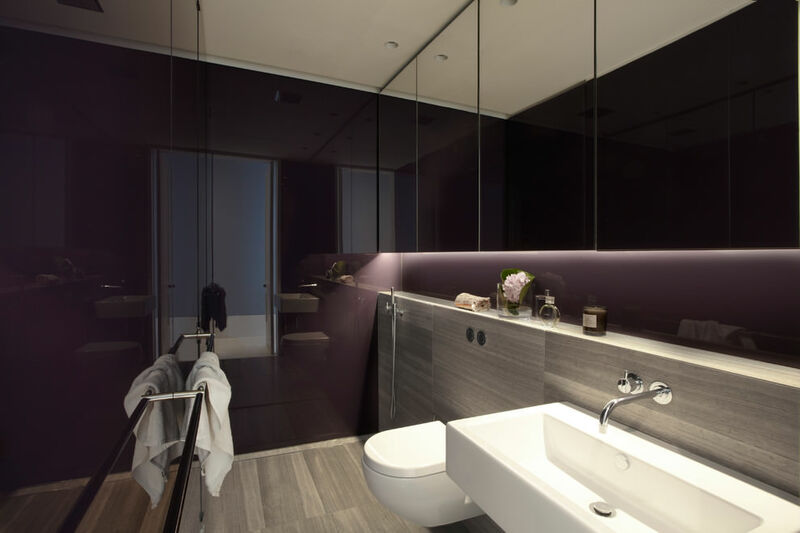 For choosing economic and useful bathroom furnishing there are various magazines and websites that gives you an idea how to deck up your old bathroom or even how to furnish your new bathroom.